In all the time I have been spinning (you know, that whole six months of time!) I have only completed a few skeins of yarn. I have SO many bobbins on the go as I experiment and play that they take a long time to get beyond the spinning part and become skeins! 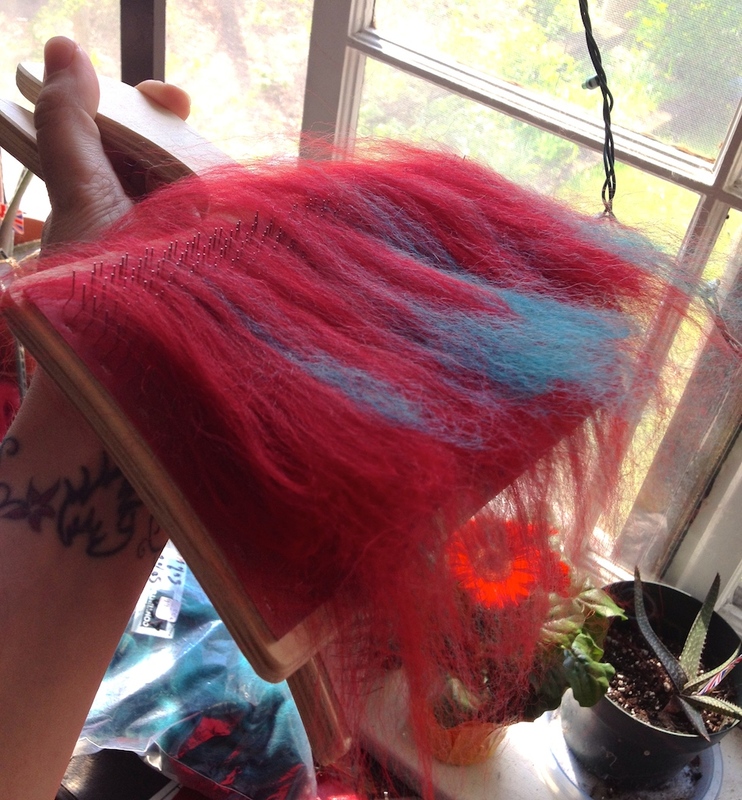 ….BUT I did just finish a skein of red/teal 2-ply yarn that I’m pretty proud of. Sure, it has its issues…overplied in places and too loose in others…but it was made by me and that makes it pretty darn awesome! 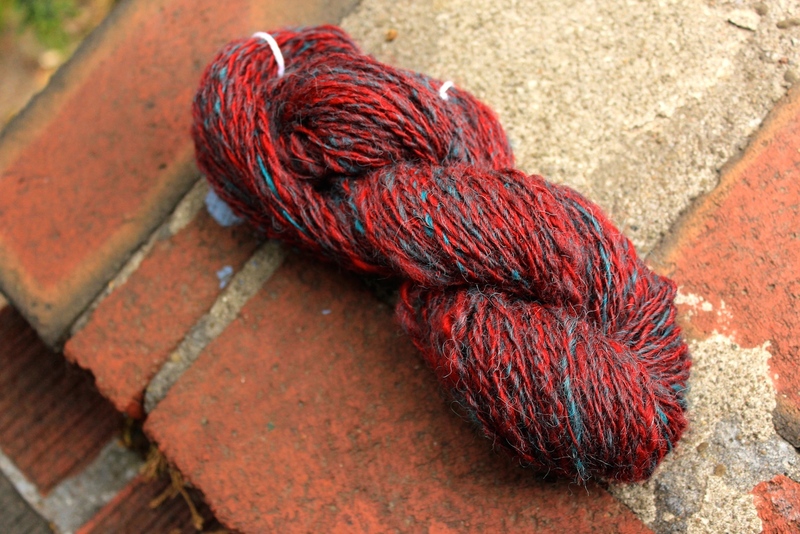 This skein was made possible by some new toys I purchased….hand carders! 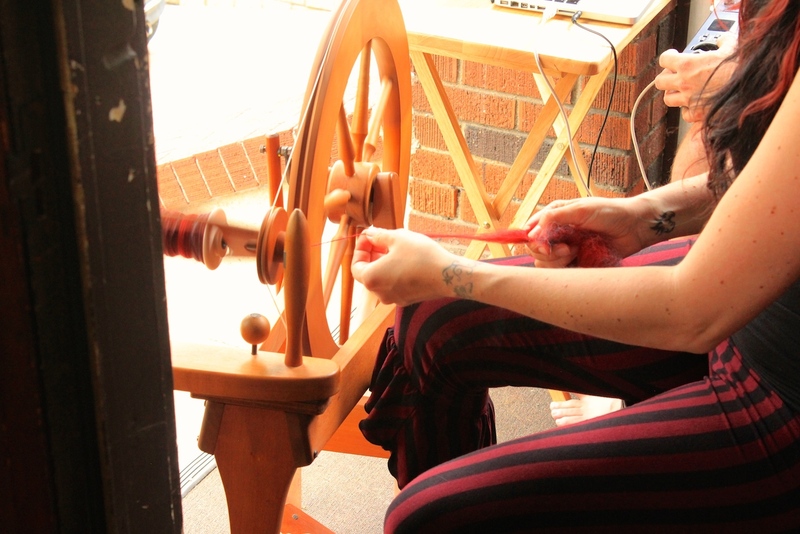 After purchasing my own spinning wheel and then buying….let’s just say a notable amount….of fleece and roving, I began to practice. For awhile, I stuck with one of my absolute favourite fibres to work with: an organic merino that I purchase near Ottawa, Ontario. It lends itself to spinning and is a dream to work with! Slowly though, I began to branch out and try other fibres, roving from different stores, fleece bought from farmers etc. All fibre is not created equal and some *requires* some work before spinning can happen. 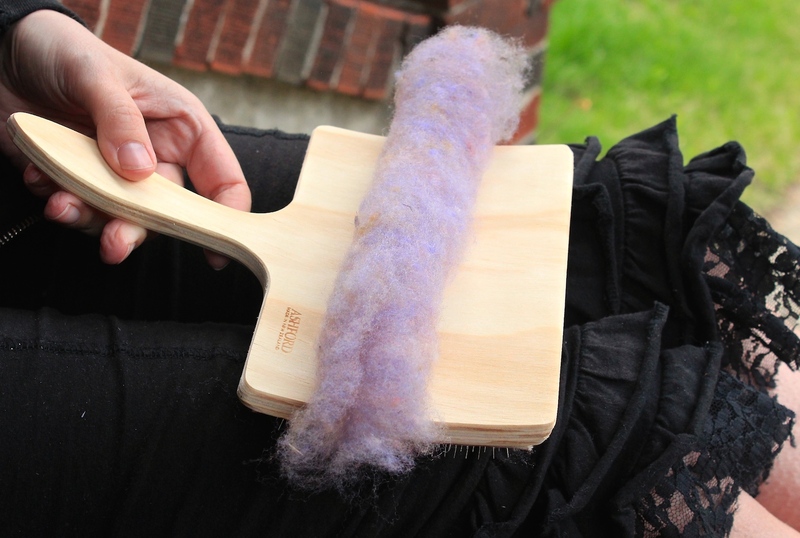 I was having a heck of a time trying to spin some Corriedale fleece that I purchased in Ottawa and I took it down to Romni Wools in Toronto to ask for advice. One of the employees very quickly pointed out that it desperately needed to be carded before it could be spun. 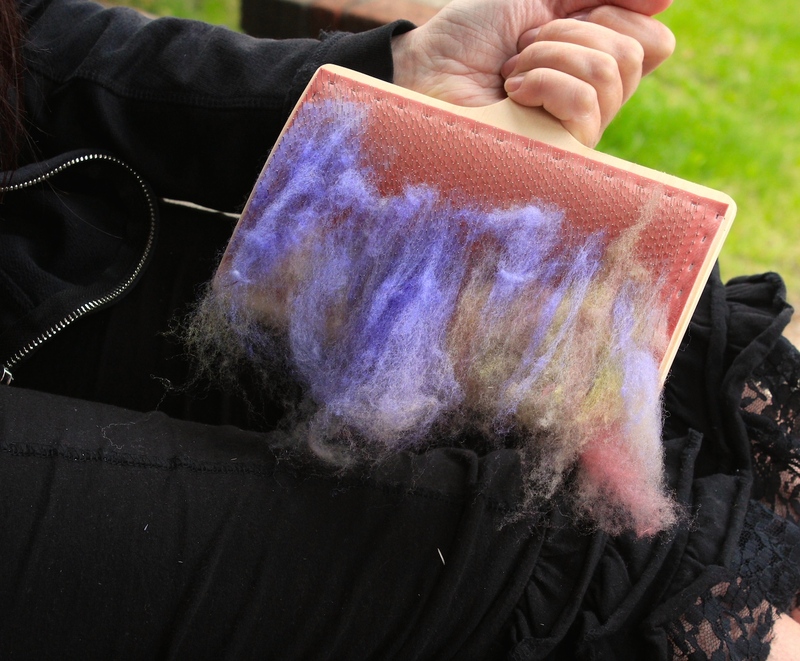 She pointed out that all the fibres weren’t going in the same direction, as would a pre-carded and prepped fleece. When she pulled it apart, I could see what she meant. It looked like the white “cobwebs” in-a-bag that you buy at Halloween. So, my newest acquisition? A pair of hand carders. Yet another activity to sit back and get addicted to!! 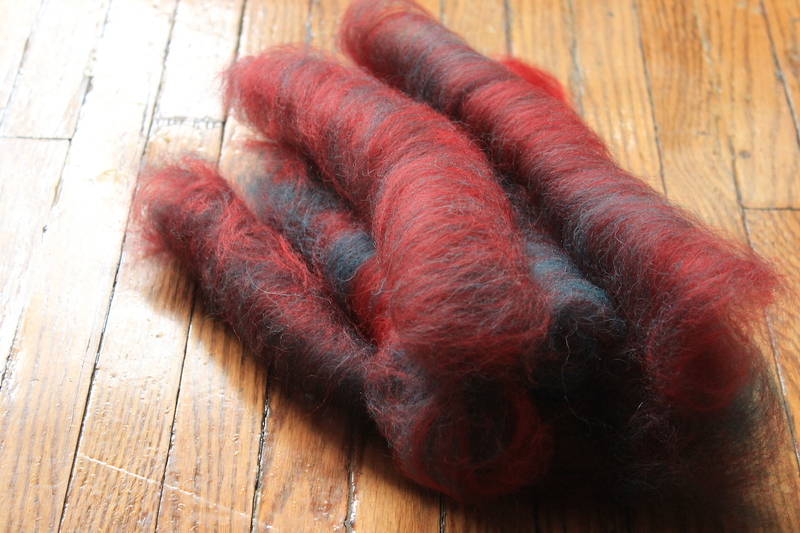 Prior to getting the hand carders, I had been trying to spin red and teal roving together without blending them first. Having hand carders makes such a difference!!! Spinning from a rolag is absolute heaven! 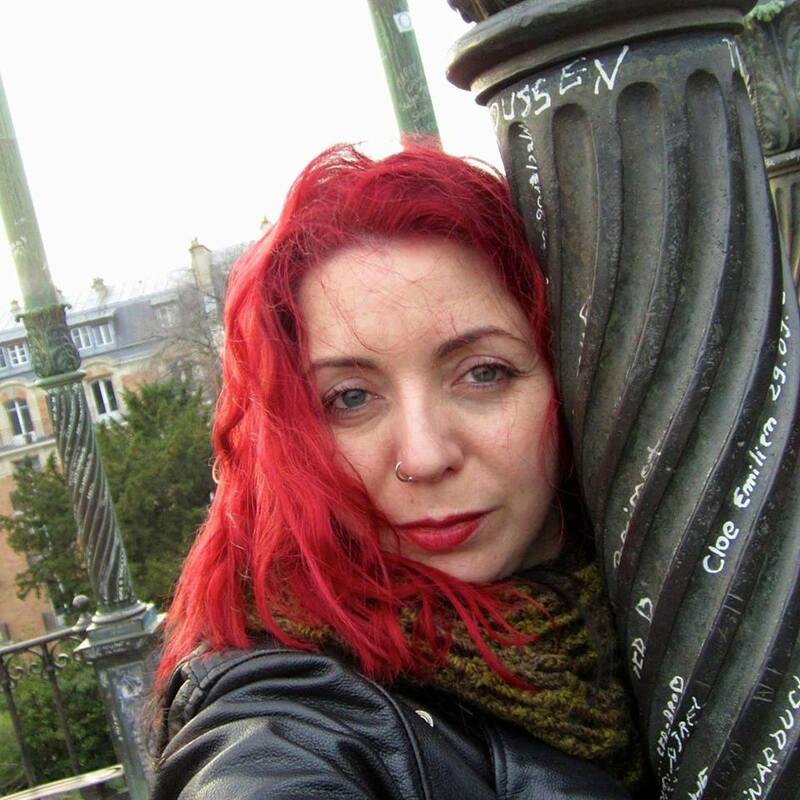 For my red/teal bend, there was again a bit of a learning curve. I spent some time online watching videos on carding: Hand Carding Fleece Wool Carding Between my online studying and my quick lesson at Romni Wools, I got pretty comfortable with the process but I continued to have a hard time keeping the red fibre from folding back on itself. Luckily there were some incredibly helpful folks on a spinning group in Ravelry that I frequent and they were able to advise me. 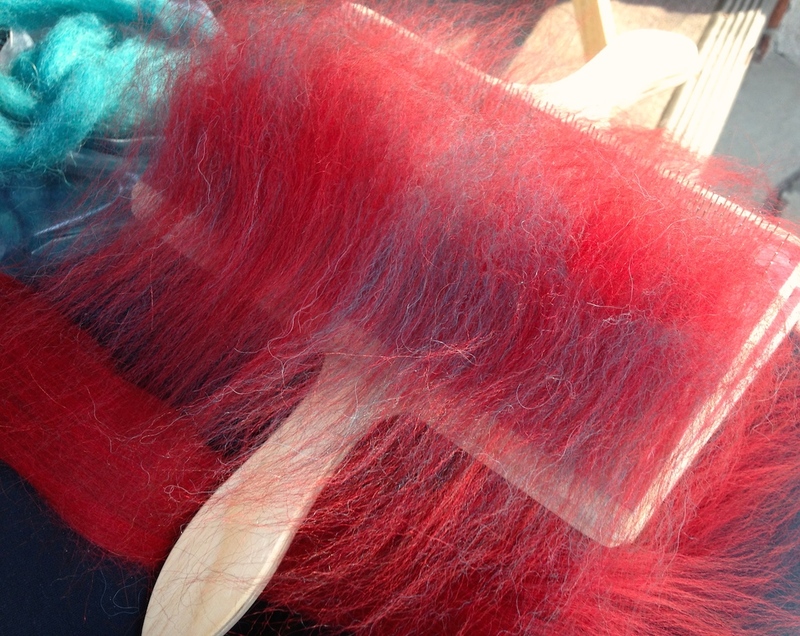 Upon purchase, the red fibre was combed and ready….with really loooong ends….not necessarily the preferred type of fibre for hand carders. So I had to be extra careful. Luckily I didn’t have to card too much…I was only doing it to blend the teal and red together. From there I made some lovely rolags and started spinning! As an aside….when I posted the above picture of rolags on Facebook, a few friends spent a shocked moment thinking I was spinning my hair! Hehehe! Unfortunately you can’t see the teal streak I had underneath but you can definitely see why friends were somewhat concerned. 😉 If you are a new spinner like me and you haven’t hand carded, give it a try! 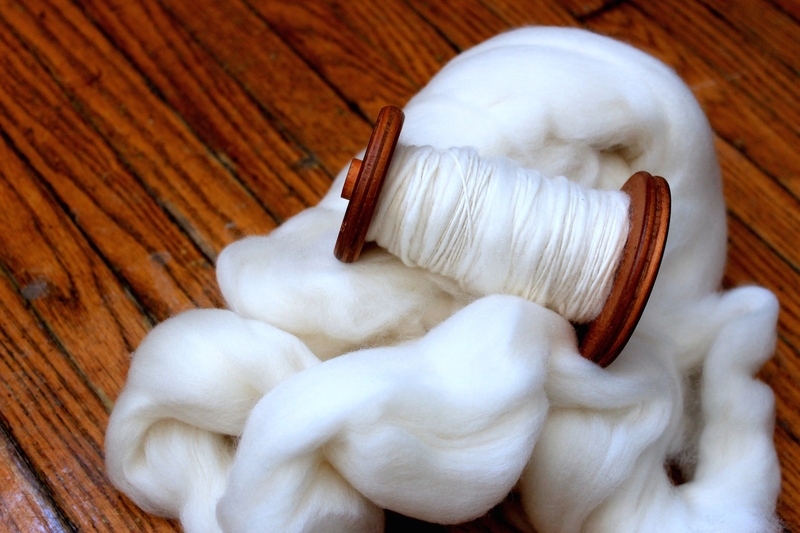 There’s nothing like spinning from hand rolled rolags that are as light as air!